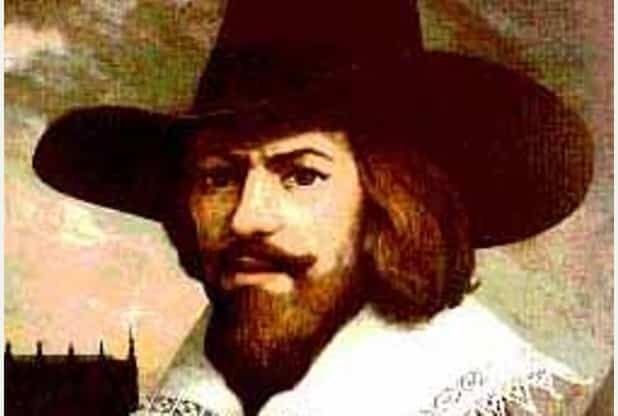 Guy Fawkes was a dangerous Brexiteer who wanted to blow up Parliament in case it blocked Britain’s exit from Europe, it emerged today. Mr Fawkes was furious when he learnt MPs would now vote before the Government invoked Article 50 – and decided it was best to blow the House of Commons to pieces instead. But his cunning plot was thwarted when a Remain-voting shopkeeper became suspicious when Mr Fawkes asked to buy 1,000 kilograms of gunpowder. Anti-terrorist police raided his terraced house and arrested him before seizing 100 rockets, 50 Catherine wheels, 75 bangers and some sparklers. Ms Fisher said that to celebrate a new era of togetherness, the country would celebrate Mr Fawkes’ arrest with a pyrotechnic display on November 5.